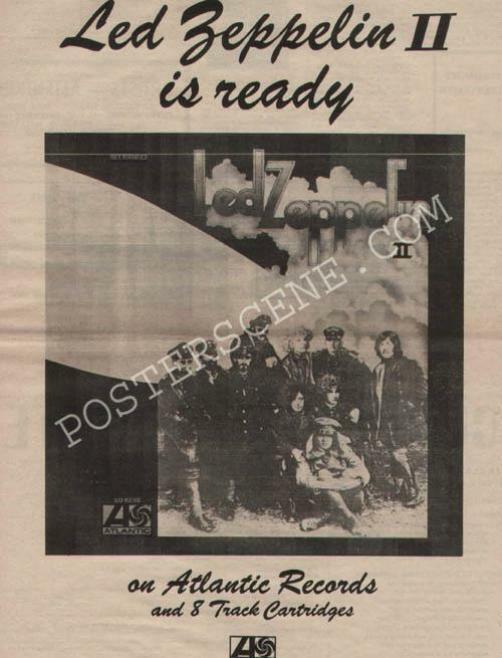 Original full page newspaper LP promo ad for Led Zeppelin's 1969 album Led Zeppelin II. Full Page 11x17 inches. Original newspaper ad, not a photocopy or reproduction.